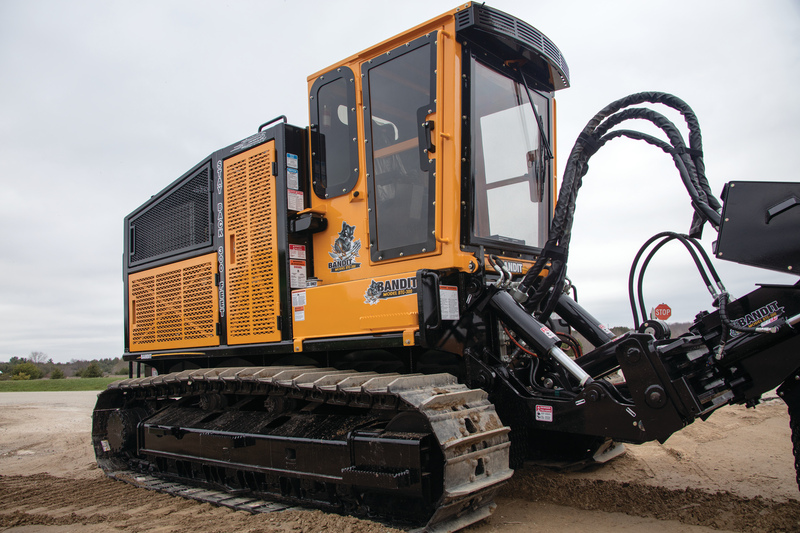 Bandit Industries unveiled the BTC-300 track carrier in 2017, kicking off a new track carrier line that will include additional machines in the future. Many customers are discovering the rugged Bandit construction and luxurious cab with extraordinary visibility, making this machine a dependable addition to their machine lineup. The cab is comfortable and quiet, making it easy to put a full day of work at the controls. The 10-way adjusting air-ride captain’s chair positions all the controls with easy reach. And bulletproof-grade glass eliminates the need for metal safety bars, so the BTC-300 offers the best visibility among the competition, all while still maintaining FOPS/ROPS/OPS safety standards. Maintenance components are easily accessible, most from the ground or built-in platforms. Hydraulic pumps are easily accessible, and separate hydraulic systems operate the tracks and the mower head. 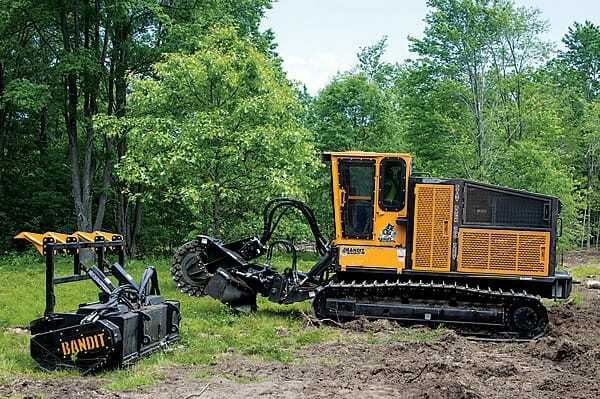 The BTC-300 rides on a powerful CAT 315 steel tracks, allowing unbeatable ground clearance. Engine options are available from John Deere, Cat and Volvo up to 321 horsepower. Outfit your BTC-300 with a 90-inch wide forestry mower head or a 44-inch diameter stump grinder cutter wheel. Both are quick and easy to attach, and can be done in the field without costly trips back to the machine shop. Learn more about the BTC-300 and Bandit’s other wood processing machines by calling 1-800-952-0178. Contact your nearest authorized Bandit dealer today to schedule a demo and see the BTC-300 in action for yourself.